Jacqueline Gold, Chief Executive of Ann Summers used to run a competition on Twitter called Men on Monday #MOM. Men in business sent her a tweet about their business between 1-3pm on a selected Monday date and she chooses 5 businesses which she then retweets and profiles to her then 22,000+ followers (now 50,000 followers). Not one to miss an opportunity I sent a tweet to Jacqueline Gold about my business on the 26th March 2012 “@Jacqueline_Gold making the world a much happier place through Graphic Design & Print www.aquadesigngroup.co.uk #MOM”. 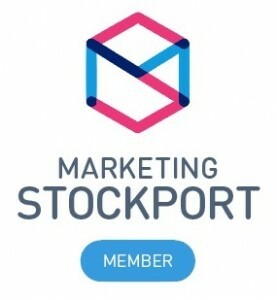 Shortly before 4pm I found out that I was one of the 5 chosen, Jacqueline Gold then retweeted my tweet, wrote an outline of my business to share with her followers and was also sent a rather fetching winners #MOM Badge. After my win I designed an iPhone 4/4S Case design which I then tweeted to Jacqueline Gold and also sent her a case with a #WOW (Women on Wednesday) design. 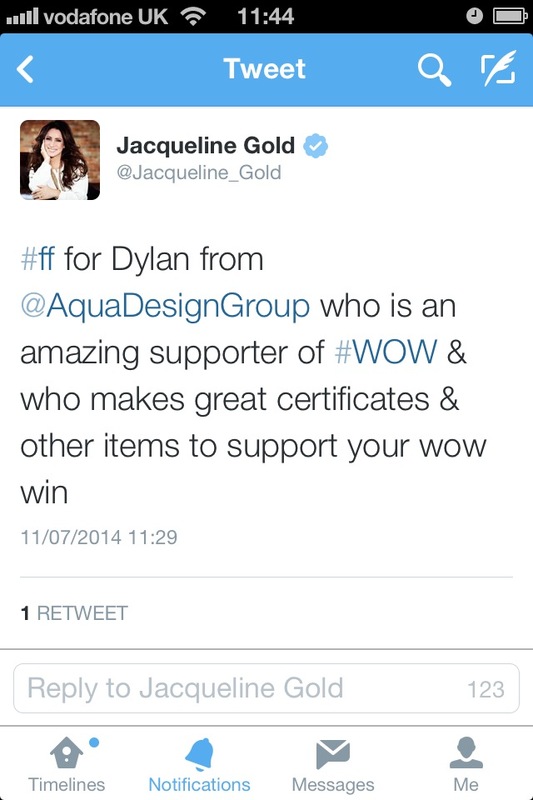 From this I now produce official Certificates, Phone Cases and other promotional items for fellow #MOM and #WOW winners to show off their wins along with a lovely Twitter #FollowFriday mention from Jacqueline Gold about what the business does to support #WOW.